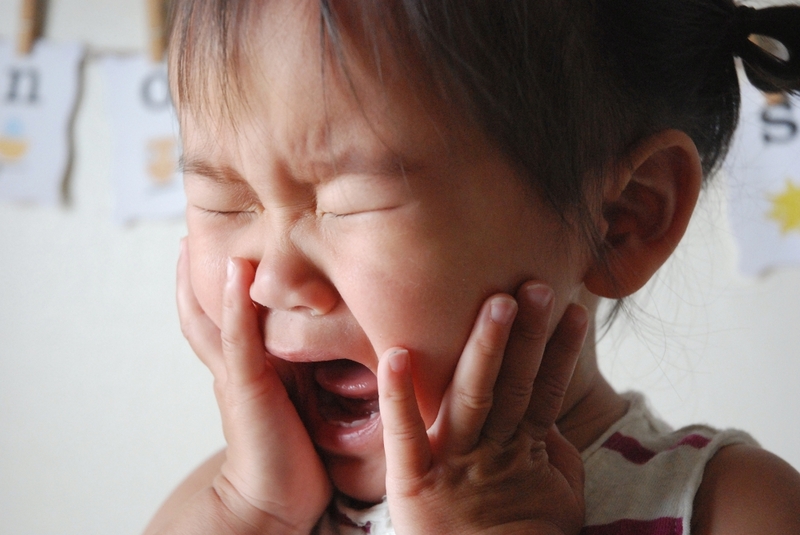 I don’t blog anymore. You all know that. 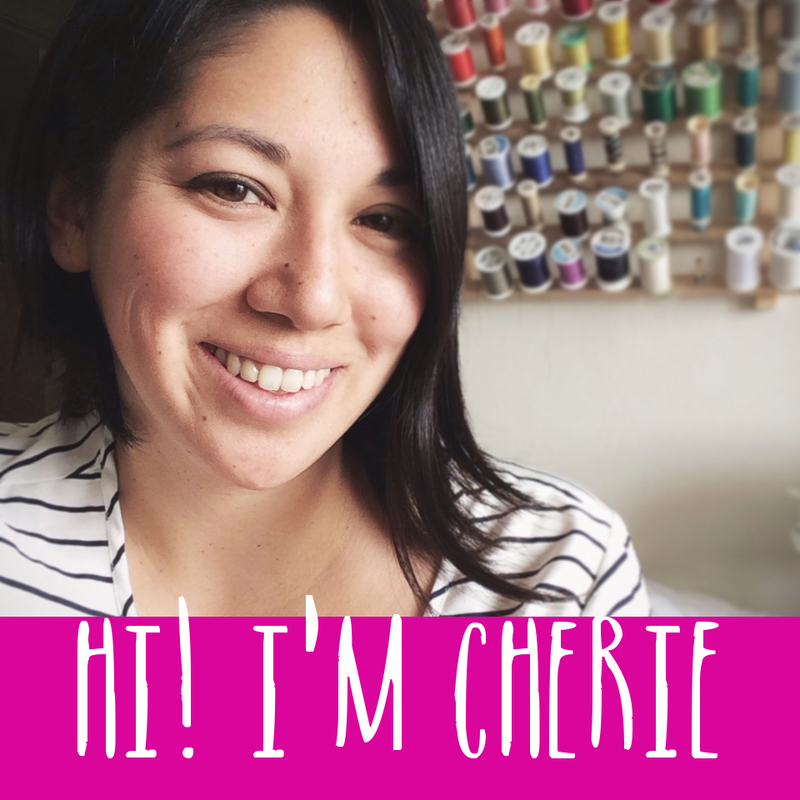 But when DANA from Made Everyday asks you if you want to sew with fabric that she designed and be part of her blog tour, you blog. It’s what you do. Well, at least, it’s what I do, so here I am! Dana’s debut fabric collection for Art Gallery is called Boardwalk Delight and was inspired by all the things that she loves about summer. And it really does encompass the fun, carefree, beachy spirit that I love so much about summer too! I knew the bright, festive colors would be something that my daughter would love too, so I took the opportunity to do some back-to-school sewing for my kindergartner. The fabric I used is called Candy Dots and the colorful dots reminded me of all our favorite fruit sherbets. It also screams, “Party!” Dontcha think? The fabric is a crisp and smooth quilting cotton that washes and sews really well. It’s lovely to wear too! Though I should have anticipated this, the print is on white fabric so it’s quite light and I wasn’t sure what kind of garment I could make that wouldn’t be too see through. The original plan was a simple skirt, so I figured if I gathered enough fabric, it would be fine. And I think it worked! This is the most simple skirt, much like this tutorial I made a ridiculously long time ago. I cut two rectangles the whole width of the fabric (about 44″) and sewed those together. So I ended up with about 88″ of fabric around a 21″ waist! It gives it a very full look and a bit of spinability. That’s a word, right? When I tried the skirt on my daughter, it felt a bit too long, so I added a pintuck pleat to shorten it. And I like that I can always unpick it and let it down as she grows taller! And it gives the skirt a little bit of interest as well. A happy accident. After I finished the skirt, I had some extra fabric leftover and I wanted to make something else. So I cut some strips on the bias to make a pair of Purl Soho City Gym Shorts. This is the first time I’ve made these shorts and I love them so much! 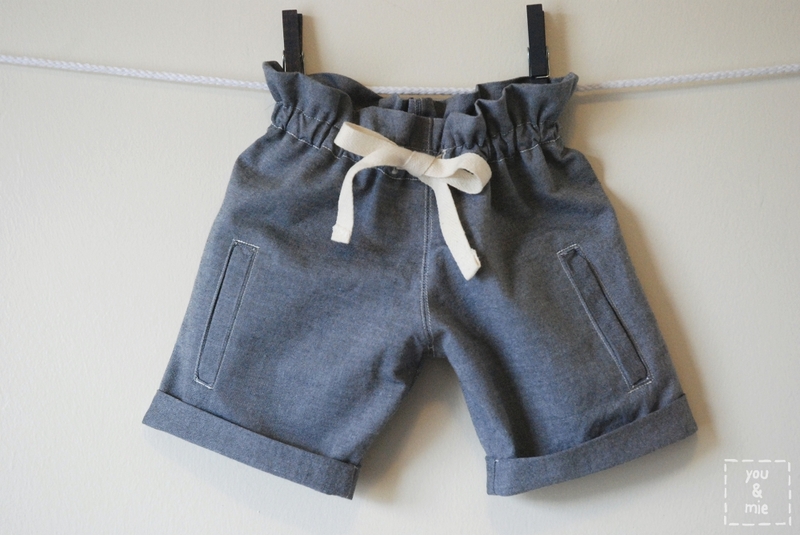 They are fast and easy to sew, they require such little fabric and the pattern is free! And they are super cute! Yuki has pretty much refused to wear shorts for the last couple of years. I think she fell once while wearing shorts and scraped her knees up, so she thought it’d be safer if she wore leggings all the time instead. The funny thing is, she wears skirts and dresses all the time! Anyways, she’s coming around to wearing shorts and she loves these so I’m thinking of making a few more. I feel like this collection is basically Dana in the form of fabric. It’s cheerful and bright, stylish and spunky. She’s done a brilliant job translating her summer fun vision to reality that we now all get to enjoy. Dana is such a pioneer and has always given so much to the sewing/blogging community, so I’m excited to see that she keeps taking on new endeavors like designing fabric. The Boardwalk Delight collection includes 10 prints on cotton, 3 knits and 1 canvas, making it extremely versatile – you can use it for almost any project you can think of! All of the details and a fun video are up on Dana’s site. And check back in weekly on Made Everyday for recaps of all the blog party posts, like Anna’s Poolside Tote, Rae’s Ice Cream Dress, and Amy’s Summer Star Quilt. There are a lot of great bloggers and projects coming up throughout August, so stay tuned! Hey! 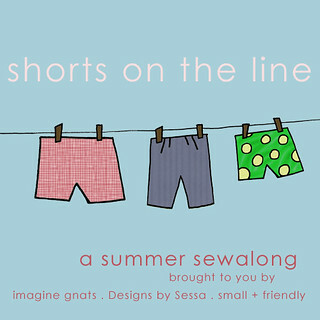 It’s Shorts on the Line time! 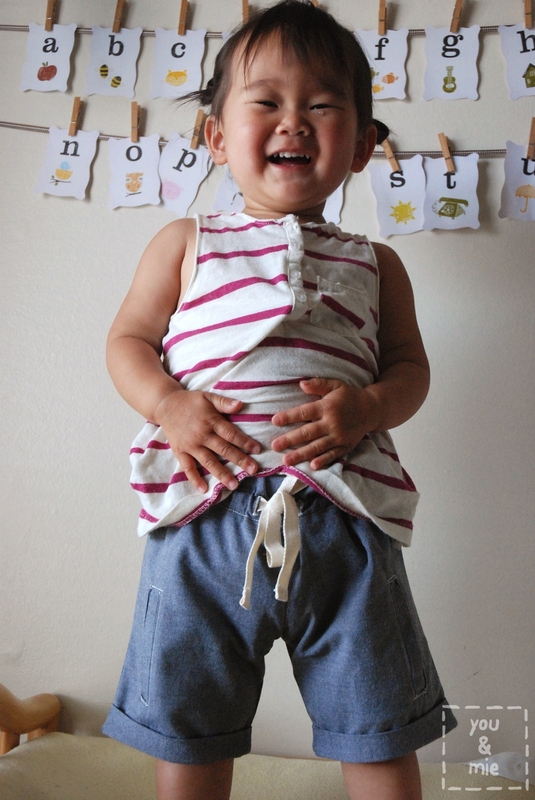 Have you been following along this series hosted by imagine gnats and small + friendly? If not, you can catch up here. So many awesome shorts have been shared during Week 1! 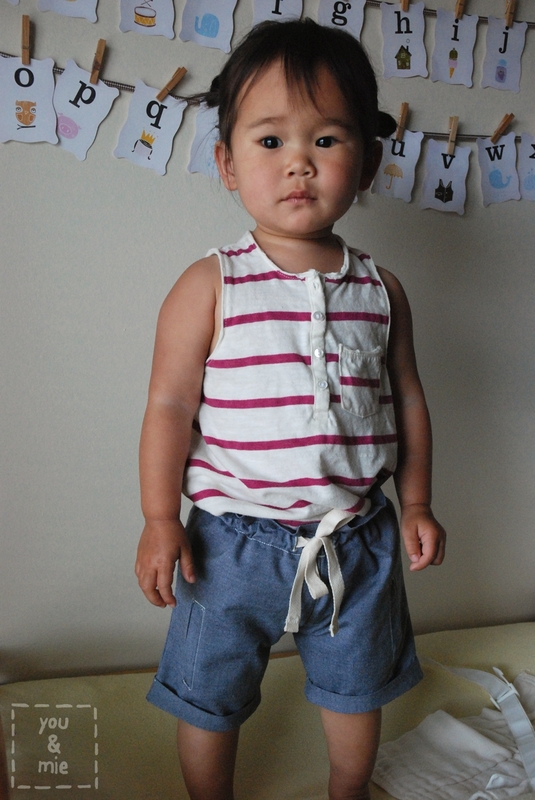 I was excited to join in the series, but Yuki doesn’t wear shorts, so I figured I’d make some shorts for the baby. But then Britex so generously offered to provide me with some fabric and I couldn’t turn that down. And when Britex offers you fabric you don’t use it on your 10 month old baby who will literally just poo poo on it. So I decided to sew for myself and use the one shorts pattern I own for women but had never sewn, which is Colette’s Iris Shorts. I bought this pattern in August of 2012, people. 2 years ago!! So I’m really glad I got this push to finally try it. It’s week three of the Shorts on the Line series! 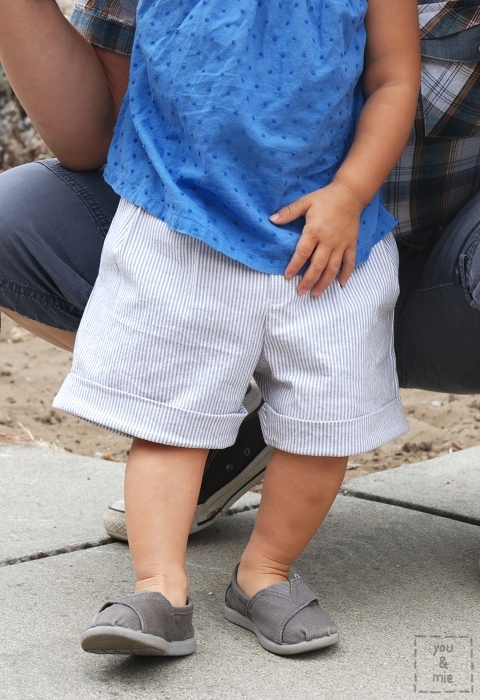 Aren’t shorts the perfect summer staple for everyone’s wardrobe? They’ve had some fantastic inspiration, tutorials and pattern reviews for boys, girls and women’s shorts over the last 2 weeks. Check out the week 1 and week 2 recaps. 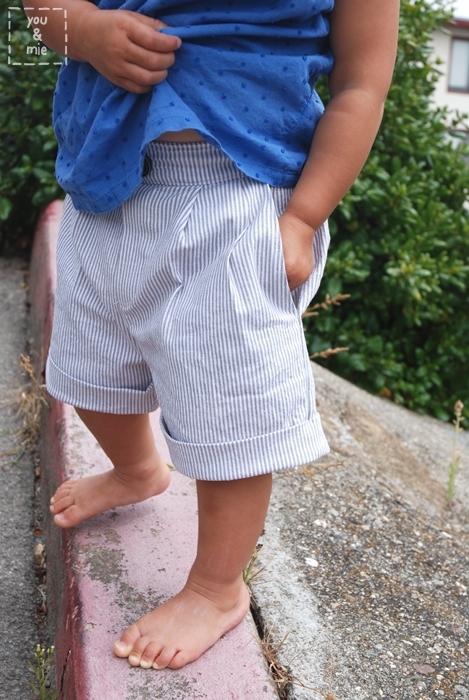 Today I’m doing a pattern review for Figgy’s Banyan shorts over on Designs by Sessa! 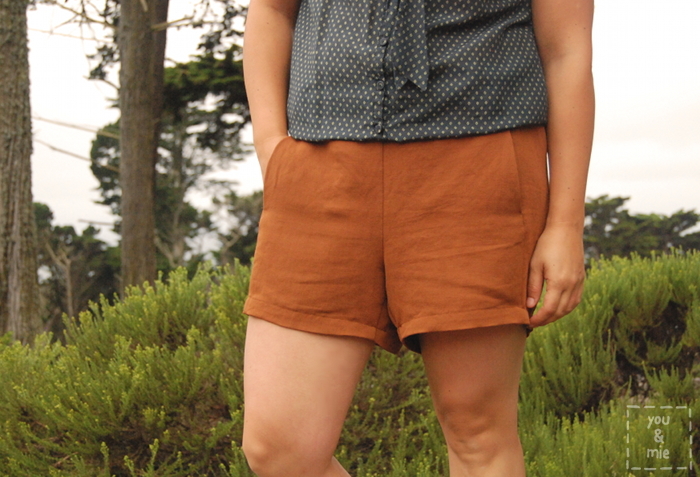 I like how these classic shorts turned out and will definitely make more (and the pants version too)! It’s awesome the pattern fits up to size 8/9, so this pattern will last me a loooong time. And you know I love me a unisex pattern! Go check out all the deets here. The sun has been playing a bit of hide and seek this week. We’ve had a few gorgeous days, some fogginess, some rain and back to sunny again. 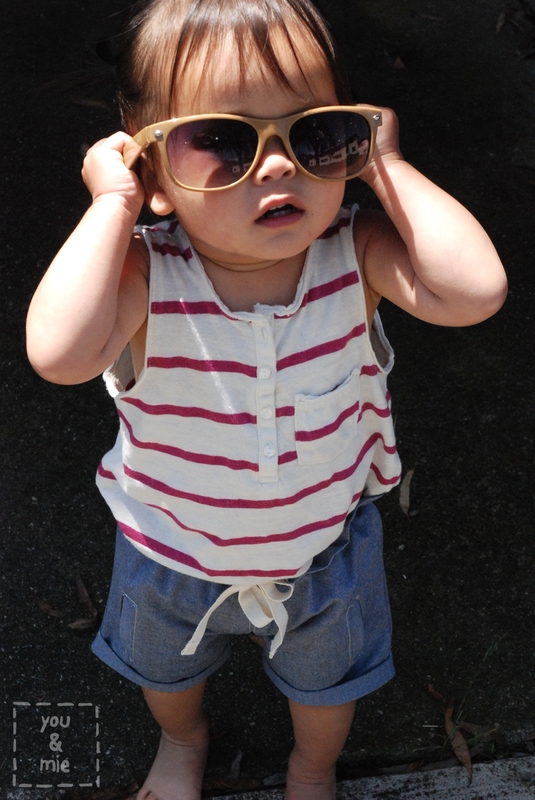 We’re not quite there yet, but I can’t wait for shorts and sandals weather! I was trying to recreate them exactly, but it was way harder than I thought! I think these are the first pair of shorts I’ve ever made and since it’s based off a pattern that I made, the shape is way off. I used the pattern from Yuki’s track pants and just cut them shorter. But I didn’t realize how straight the legs were around the thigh and I wish I had made them a tad roomier. Also in the rise and bum. I always underestimate the breadth of her big cloth diapered booty! The welt pockets ended waaay too low. Overall, I like them though. The only thing I purposely changed is that instead of making them drawstring shorts, I put elastic all the way around for practical reasons (you know that drawstring isn’t staying tied). Then I just added the twill tape for looks. Pretty convincing, no?? I think the longer length is probably good for her and I like the little paperbag-ish waistband. And I love the chambray! I have admired chambray clothes for a long time and I don’t know why I haven’t sewn with it sooner, but it really is gorgeous. It’s totally comfortable and casual, but it looks so nice! Don’t forget to check out all the amazing stuff people are cranking out this week for KCWC! So no Project Run & Play entry this week for the “Earth Day Challenge.” It would have been so easy to incorporate an upcycled outfit into my week of sewing, but for some reason I was completely at a loss for what I wanted to make. Since I was uninspired and had plenty of other projects that I was dying to make, I decided to sit one out. And look, that’s fulfilling one of my goals! 🙂 I already have ideas for the next two challenges, so if all goes well, you’ll see me in that flickr pool again in no time. Anyone else feel like this at some point this week? ?